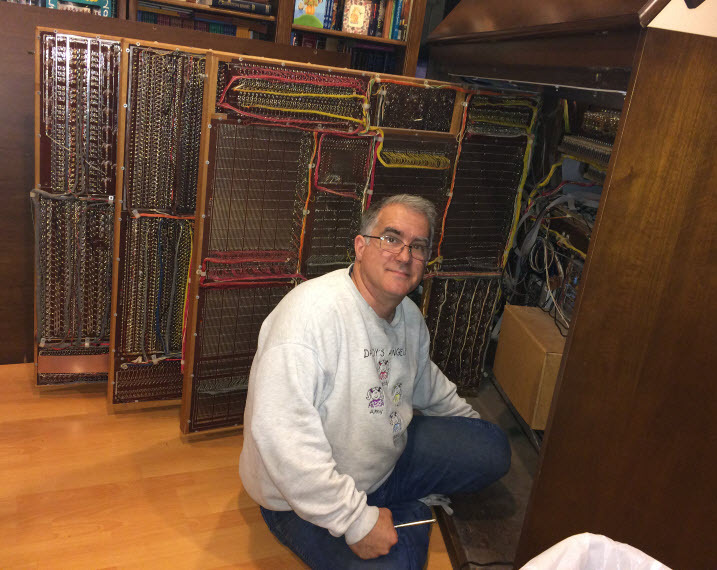 Have you ever wondered what's inside a vintage analog Theater Organ? Here’s what you’ll find: a lot of wires, transistors, resistors, capacitors and coils all mounted on three (or more!) 4′ x 5′ circuit boards. Yes, feet, not inches. Here’s a quick peek inside my Rodgers 340 after I did some work on it. If there’s something you’d like to see, let me know.